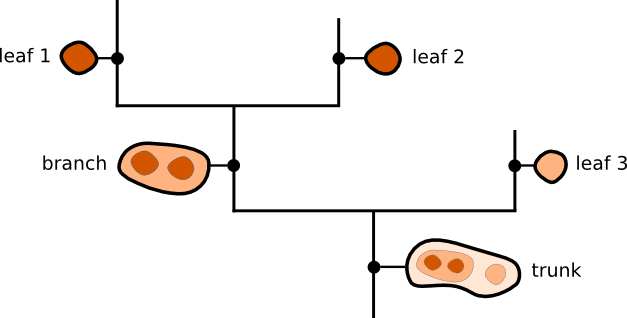 A dendrogram is composed of two types of structures: branches, which are structures which split into multiple sub-structures, and leaves, which are structures that have no sub-structure. 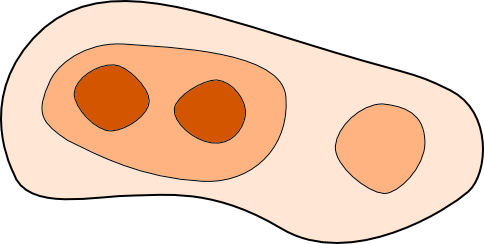 Branches can split up into branches and leaves, which allows hierarchical structures to be adequately represented. 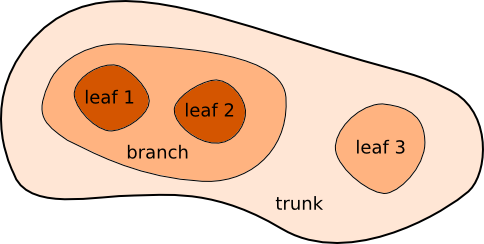 The term trunk is used to refer to a structure that has no parent structure. For an example of use of dendrograms on real data, see Goodman, A. et al (2009). Please help us improve this package by reporting issues via GitHub. You can also open an issue if you need help with using the package. If you make use of the analysis code (Computing Dendrogram Statistics) or read/write FITS files, please also consider adding an acknowledgment for Astropy (see http://www.astropy.org for the latest recommended citation).